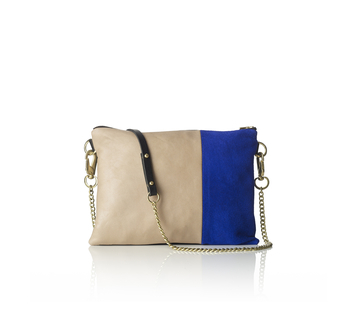 Handmade bag with black lacquer on one side and sand Nappa / blue Suede on the other side with satin lining. 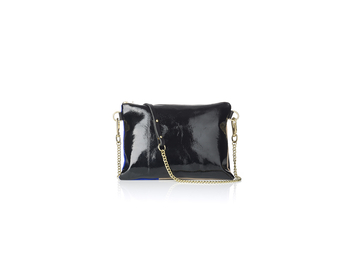 Solid brass details and one pocket inside. Zipper in brass finish is from YKK high end line. 110 cm long removable chain shoulder strap.